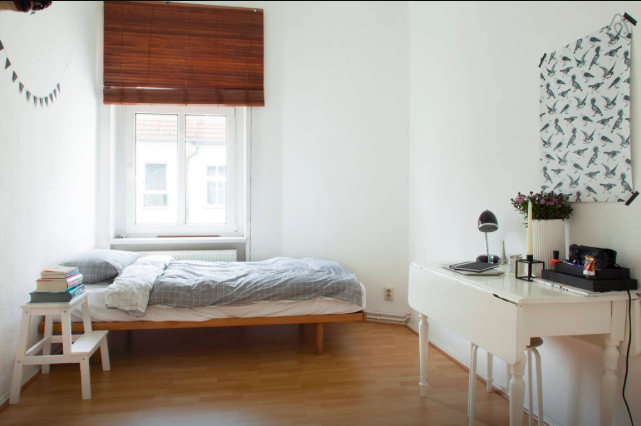 As I wrote the other day my boyfriend has moved in to my rather small apartment (65 square meters), which is actually not that small. The problem is more the mix of the tiny bedroom and all of our clothes and shoes. Another problem is my fear of clutter. The above pictures show how my bedroom looks now. We quickly found out that we definitely needed a bigger closet, so the Ikea we went. That didn’t quite go as planned. I always heard about how going to Ikea with your boyfriend or girlfriend can be quite a test, and so it was. We walked all the way through the warehouse, as Ikea forces you to, and when we reached the closet department, it did not take us long to find a suiting closet, so we thought at least. The next issue was “what color do we want the closet in”. All of my furniture is white besides from one wooden dresser and a black table. My boyfriend liked the closet with light blue see through water colored doors (I told him “I don’t even know what color that is”, and I of course, liked the all white closet. Long story short, we ended up discussing the color of the doors for almost an hour, and what started as a nice couples trip to Ikea ended up with a fight and me walking out of the store angry and empty handed. I said, if we can’t even agree on a closet let’s just not get one, and he said, “but a white closet will get dirty so fast because we will touch the sliding doors the whole time”. 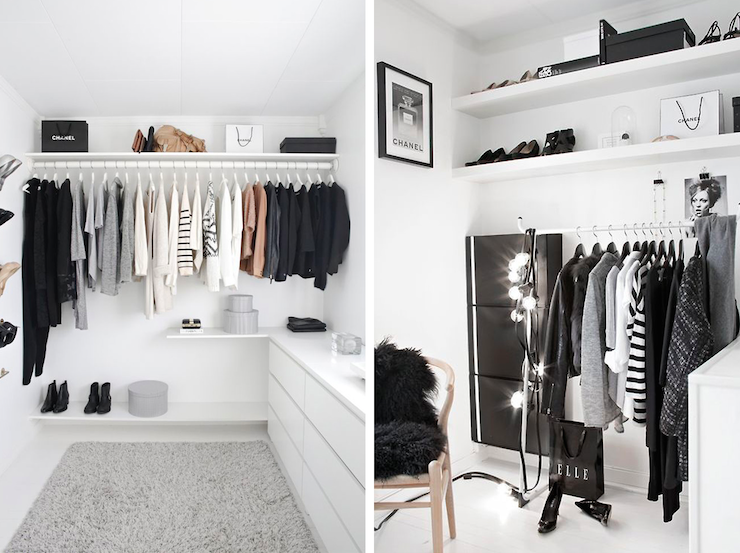 I tell him “I’ve had a white closet for years, it never got dirty, and if you are so afraid of it getting dirty, you can just clean it – feel free!”. We got home and the air between us was lighter. We tried to compromise, and he ended up saying that we could just get the white one. I said no, because I didn’t want to get a closet, I knew he didn’t like… We ended up ordering the white closet online the same night, and to make up for it a little, I also ordered him a bathmat, so he doesn’t have to dry his feet before getting out of the shower. I hope he is going to be happy about that part! We are going to build the closet later, and I keep all of my fingers crossed and hope that all of our clothes will fit in, because for now I am getting just a little tired of living in what feels like a washing machine (just joking, I couldn’t be happier having my boyfriend here, and the mess and clothes is just background noise). And for my next life I dream about something like this – a walk in closet.